Downman, Scott and Murray, Richard Hyperlocal journalism and digital disruption: the journalism change agents in Australia and New Zealand. London, United Kingdom: Routledge, 2018. Downman, Scott and Murray, Richard (2017) Journalism: empowering communities and building trust. Ethical Space: the international journal of communication ethics, 14 4: 2-3. The promotion of organisational community and social contributions : A historical analysis (through the lens of public relations) of a selection of iconic Australian organisations. Downman, Scott, Horrobin, Jade, Lawler, Courtney, Maguire, Kemii, Rowley, Maxwell, Regi, Navin, Volker, Sophie, Westbury, Rachel and Wong, Alynna Change Makers II: the true stories of Woodridge 2nd ed. Edited by Scott Downman, Kaye Davis, Richard Murray and Chrissy Downman St. Lucia, QLD, Australia: University of Queensland, 2015. Downman, Scott, Wong, Alynna, Maguire, Kemii, McMullen, Jordan, Horrobin, Jade, Westbury, Rachel and Rudz, Alicja Change makers: the true story of Woodridge. Edited by Scott Downman, Amy Sullivan and Kate Davis St. Lucia, QLD, Australia: University of Queensland, 2014. Downman, Scott Edit: a guide to layout, design and publication. South Melbourne, VIC, Australia: Oxford University Press, 2008. Downman, Scott (2014). Globalisation and local impacts. In Susanna Chamberlain, Kerrie Foxwell-Norton and Heather Anderson (Ed. ), Generation Next: Becoming Socially Enterprising (pp. 207-217) South Melbourne, VIC, Australia: Oxford University Press. Downman, Scott (2014). The role of media based interventions in combating human trafficking in Southeast Asia. In Sallie Yea (Ed. ), Human Trafficking in Asia: Forcing Issues (pp. 200-215) Abingdon, Oxon, United Kingdom: Routledge. Downman, Scott (2017) When a community rises up against fake news: The Change Makers' project. Ethical Space: the international journal of communication ethics, 14 4: 4-10. Downman, Scott and Murray, Richard (2017) The Change Makers' Project: A service learning approach to journalism education in Australia. Fusion Journal, 4 11: . Downman, Scott (2013) Victims of exploitation or victims of the media: rethinking media coverage of human trafficking. Ethical Space, 10 2/3: 63-71. Downman, Scott (2013) Reporting disasters from inside a repressive regime: a citizen journalism case study of the 2008 Cyclone Nargis disaster. Australian Journal of Communication, 40 1: 153-172. Downman, Scott (2006) Swamped: the tsunami media coverage in Banda Aceh. Australian Journalism Review, 28 1: 7-21. Downman, Scott and Richard Murray (2016). Teaching human rights journalism through a hyperlocal journalism project: Change Makers. In: World Journalism Education Congress, Auckland, New Zealand, (). 14-16 July 2016. Downman, Scott and Murray, Richard (2015). #journalismisdead: resuscitating a critical profession and reimagining the journalist through first year journalism courses at an Australian university. In: 2015 JERAA Conference: The 2014 Journalism Education and Research Association of Australia 2015 Conference, Bathurst, NSW, Australia, (). 2-4 December 2015. Downman, Scott (2015). The Change Makers Project: a service learning approach to journalism education. In: 2015 JERAA Conference: The 2015 Journalism Education and Research Association of Australia Conference, Bathurst, NSW, Australia, (). 2-4 December 2015. Downman, Scott and Ubayasiri, Kasun (2015). Voices of the faceless: Personalising stories in ethically challenging situations. In: 2014 JERAA Conference: The 2014 Journalism Education and Research Association of Australia 2014 Conference, Sydney, NSW, Australia, (F31-F31). 24-27 November, 2014. The role of media in combating and preventing human exploitation and trafficking? Downman, Scott (2014). The role of media in combating and preventing human exploitation and trafficking?. In: Journalism Work, Identity and Reform in the Digital Era, Sydney, NSW, Australia, (). 28 November 2014. Downman, Scott and Ubayasiri, Kasun (2014). Voices of the faceless: personalising stories in ethically challenging situations. In: Journalism Education and Research Association of Australia, Sydney, NSW, Australia, (). 25-27 November 2014. Downman, Scott and Ubayasiri, Kasun (2013). Human rights journalism and the reporting of refugee migration and human trafficking in Asia - two case studies. 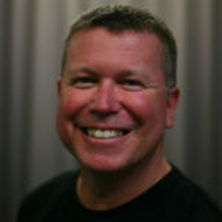 In: Journalism Education and Research Association of Australia, Sunshine Coast, QLD, Australia, (). 2-4 December 2013. Downman, Scott (2013). Using YouTube to build research skills and enhance learning in a first year journalism course. In: Journalism Education and Research Association of Australia, Sunshine Coast, QLD, Australia, (). 2-4 December 2013.